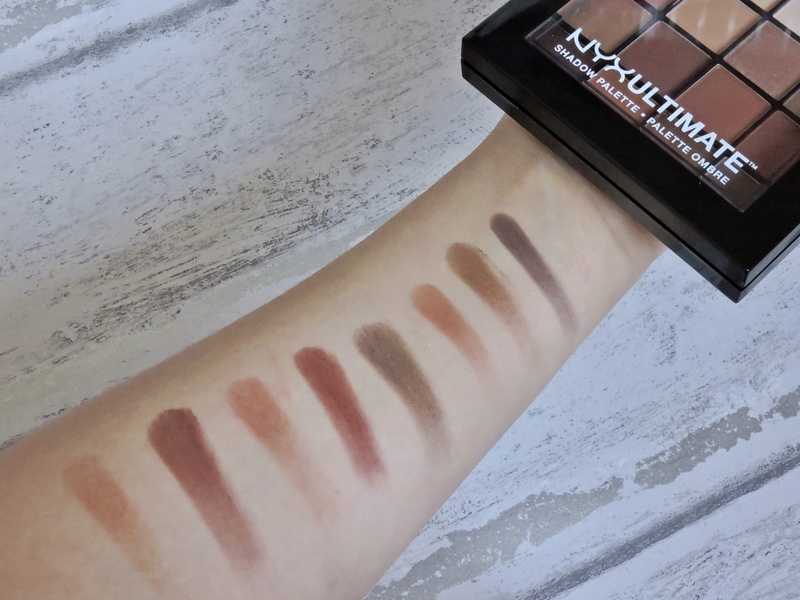 Nyx has become one of my favourite makeup brands within the last couple of months. 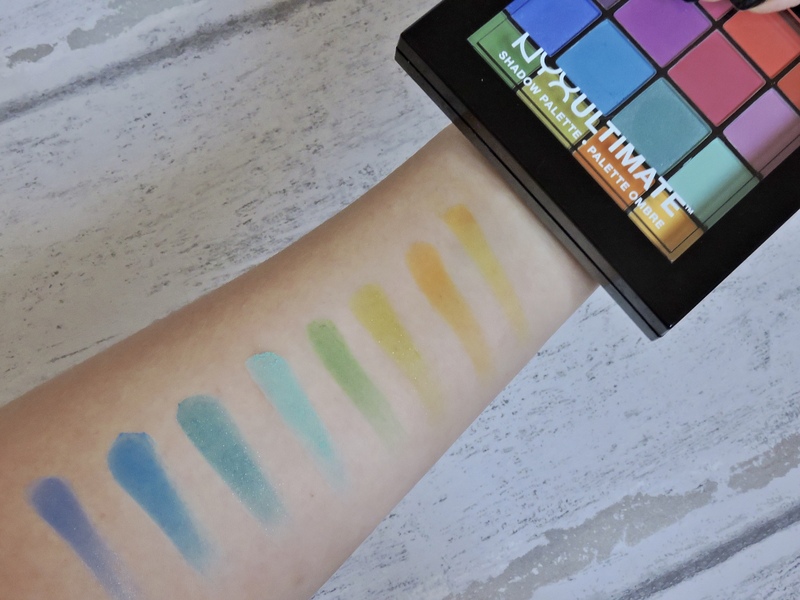 I picked up two of their Ultimate Shadow Palettes and I can say that they are essential for Autumn and Halloween. I got one palette called the Warm Neutral palette and the Brights palette. 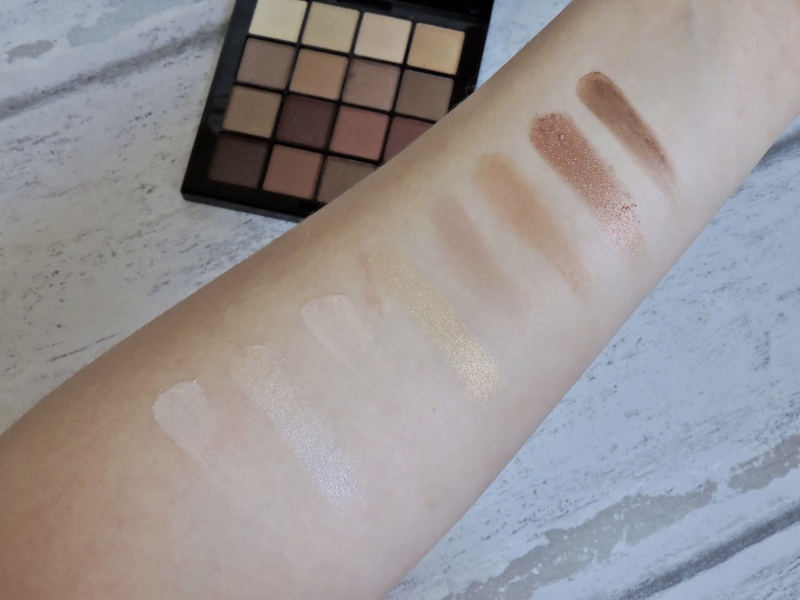 The Warm Neutral is honestly perfect for this time of year, it is a really warm toned palette and has a lot of stunning colours. The Brights palette is such a great palette to use to create really cool Halloween makeup looks, but also if you are looking to experiment with bright colours. 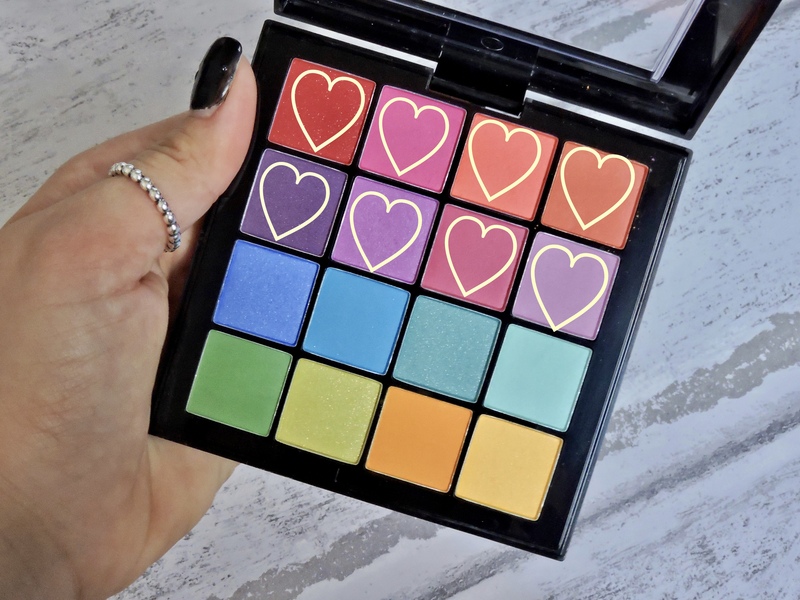 Both palettes were £16.00 which I thought was really good, especially because there is 16 shadows inside, so you are getting 16 shadows for £16 which isn’t bad at all. Inside each palette there is a mixture of different shadows such as mattes, shimmers, satins and metallics. The packaging for the palettes are the same, they are quite bulky but are a good size. They are quite thick which is good as there means there is a lot of product inside. I do find it hard to open each palette, I have to really dig my nail under the opening of the palette or I just use my teeth ( don’t judge me ) Each palette has a shelf life of 24 months and each individual eyeshadow palette is 0.83g of product which is alright. It will definitely take me longer to get through the Brights palette then it will to get through the Neutrals palette. The colours in both palettes are stunning. The colour variation in both palettes is also really good, and the colour placement really satisfies me. You can create some amazing looks with each palettes. With the Naturals palette I like to create a burgandy smokey eye with a gold shimmer cut crease. I also like to create more of a darker brown smokey eye with a brown shimmer cut crease. In both palettes the shades are numbered, so 1 being the first left shade and 16 being the last shade in the palette. In the first two lines there is a mixture of mattes, shimmers and metallics. There are great shadows here for a base colour and towards the end of the swatches, there are some great transition colours. The first shimmer shade is a really lovely shimmery colour, that looks lovely in the corner of the eyes or even under the brow bone. The fourth gold colour is my favourite glittery/shimmery shadow in the palette, it really packs a punch. The metallic rose gold colour is actually stunning. I love to apply this to my eyes with a bit of fix plus. The colours start to get a bit more darker in the second row. The last two rows of colours are stunning! there are some lovely browns and burgundy colours. The first swatch is a shimmer and then after that every other shade is a matte shade. There is two colours in here that are cool toned browns, which is good that they included some cool toned ones too. The third shade didn’t swatch that well, but once applied on the eyes.. they are stunning. These two rows are the rows that I am really drawn to the most, i love all of the warm toned brown colours. That fourth colour IS MY FAVE. The colour pay off is really good for what you are paying for. 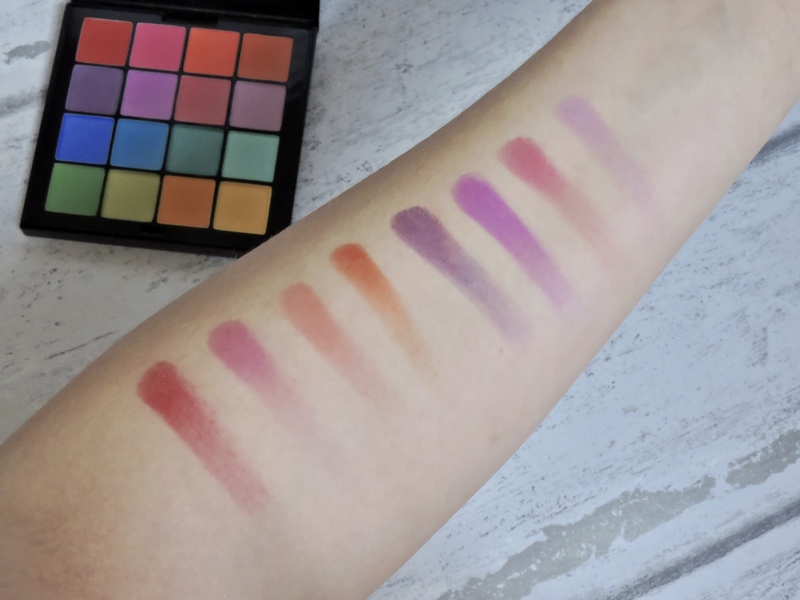 You can tell that these shadows are a drugstore branded eyeshadow palette, the pigmentation isn’t the best so most of the colours might need building up. This doesn’t bother me that much, as you can play with the intensity. I have noticed that they don’t stay on my eyes as long as some of my other shadows from other palettes stay on my eyes. Towards the end of the evening, they have worn off a little bit but you can still see that there is shadow on my eyes. With primer it definitely lasts a lot longer, so definitely use primer with this eyeshadow (with any eyeshadow really). There are some lovely colours in the first two rows, the first red colour, the dark purple colour and the light purple colour next to it are mattes with a lot of shimmer in them. There is a good selection of colours here and I feel like you could do some cool looks with these colours. The colours are definitely my sort of colours in this palette that i will probably reach for the most. There is a cute pastel purple on the end of the swatch which I think is such a lovely colour. That first red colour is sooo stunning and will look really cool under the yes if you are doing a vampire look or something. The orange colour is such a great colour if you are looking to do a pumpkin eye look or something, there is another orange colour in the last row too that this would go well with. There are some cool colours in the last part of the palette, some of these colours I have never seen before in other palettes. They are so unique and look so fun to play with. The first four shades are different blue tones, the first and third blue colours are shimmers and the others are mattes. I like how they havent just included like two colours of blue but created four different blue shadows which all vary in colour. Then there is two green colours, the first one is a matte and the second one is a shimmer. At the end of the palette there is an orange colour which is matte and a shimmery yellow. I have never worn blue or green eyeshadow before so this will be fun to experiment with. The colour pay off is good with this palette, you can really build up the intensity which is good depending on what sort of look you are going for. All of the colours could be used as an every day look if they were subtle I think. All of the matte shades have a couple of speckles of glitter in here and there and the shimmery shades are also mattes but with alot of shimmer. Depending on how you blend out the colour with depend on how much shimmer the eye colour will have. 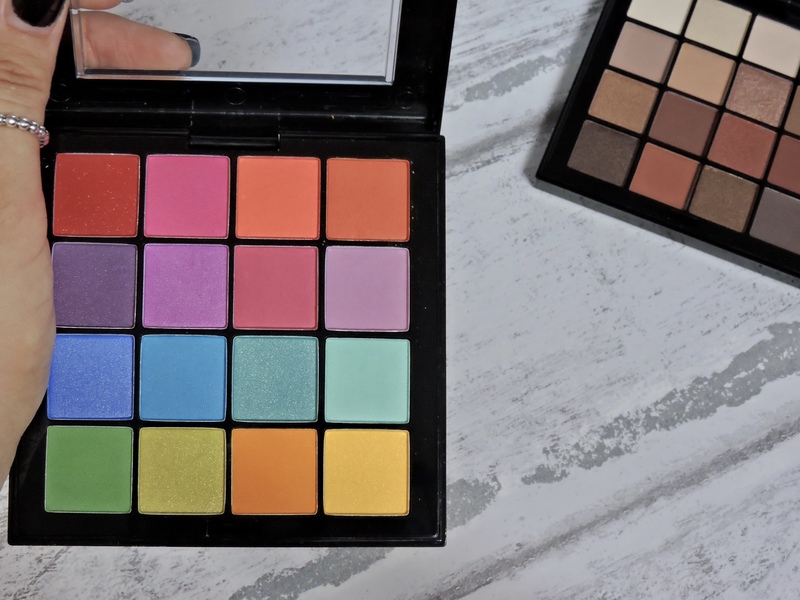 I would definitely recommend getting these palettes if you are so ready for Autumn but are looking for the perfect autumnal eyeshadow palette and if you are looking for an eyeshaodw palette that is going to help you out for Halloween. What palette are you more drawn to? 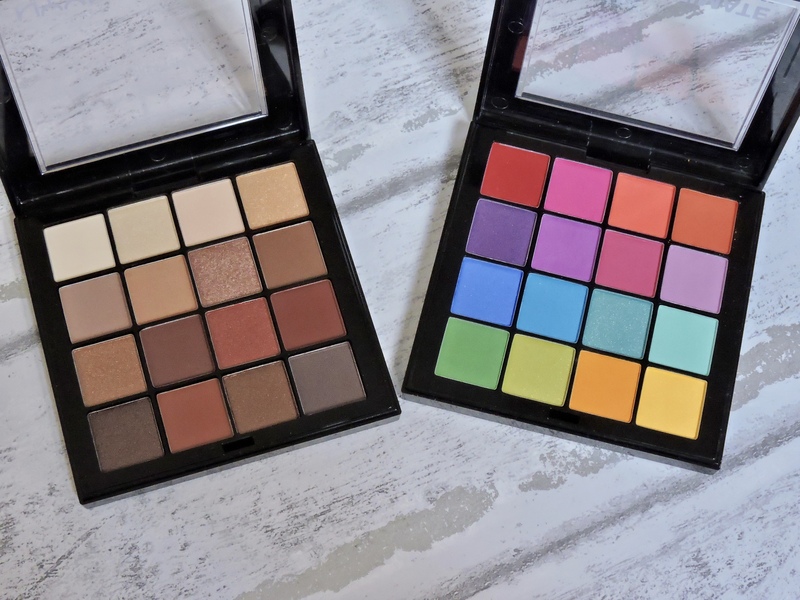 do you have any of these palettes? Always been a NYX lover for lipsticks/gloss but never tried their eye shadows. These are beautiful! 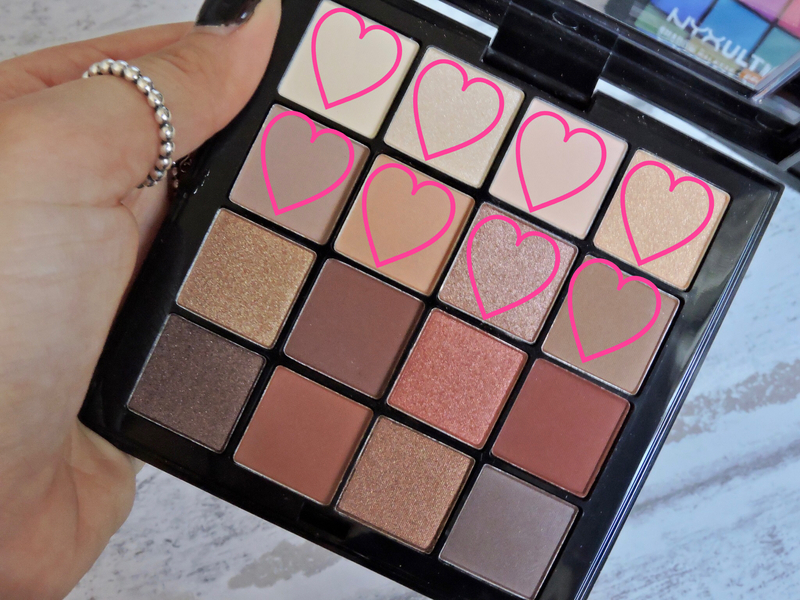 I’ve never really looked at NYX palettes but maybe I should! I’ve never tried NYX before, that nudes eyeshadow palette appeals to me! OMG these look amazing!!!!!! 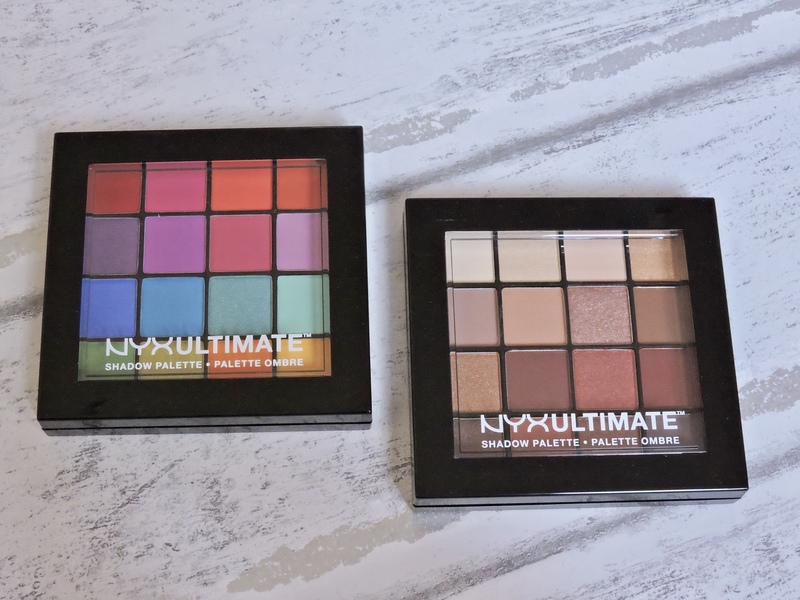 I have never tried NYX palettes before but they are definitely on my list now! YOU DO! they are sooo good. The pictures don’t even do the shades justice, the shimmers are stunning! Oh wow both of these pallets look amazing! I’ve never tried any NYX pallets, just their lip products, but I think I might have to give these a go! I’m loving your photography in this post! Im new to nyx, but love there mascara so could be tempted to buy an eye shadow palette.